Teaching your kids to respect animals is an important part of bringing a furry friend into the home, as well as an important part of showing them how to grow into respectable adults who care about wildlife. Apparently, one father hasn't quite gotten the memo. 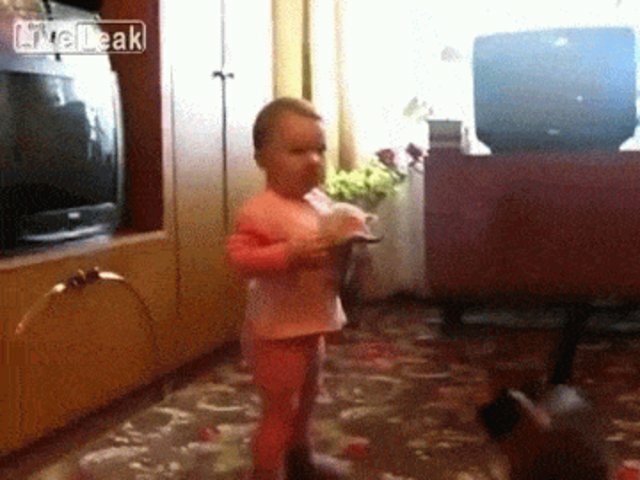 This GIF (from a 2013 video) has been making the rounds recently. 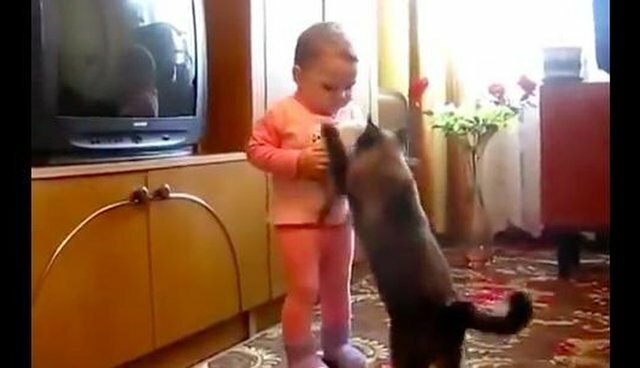 It portrays a toddler holding a small kitten in her arms until the mama cat swoops in and takes her back - with a little back and forth. The GIF is soundless and edited in a way that makes it almost seem cute. But, once you watch the whole video, it goes from cute to uncomfortable pretty fast. With the sound on, it's pretty clear the kitten is in distress. Not only does she look scared, but you can hear the wailing cries she makes as the baby lugs her around the room. Meanwhile, the child's father can be heard laughing in the background. The mother cat struggles to find a way in at first, but eventually rescues her kitten and gets her back to the relative safety of what looks like a cardboard home. Still, this whole situation shouldn't have happened in the first place. Please remember that, while it's okay for small children and animals to interact, it's important to teach kids how to properly care for and pet them. Taking a kitten from her mother when she's clearly not happy about it isn't cute, it's cruel. A toddler doesn't know her own strength and can be extremely clumsy. 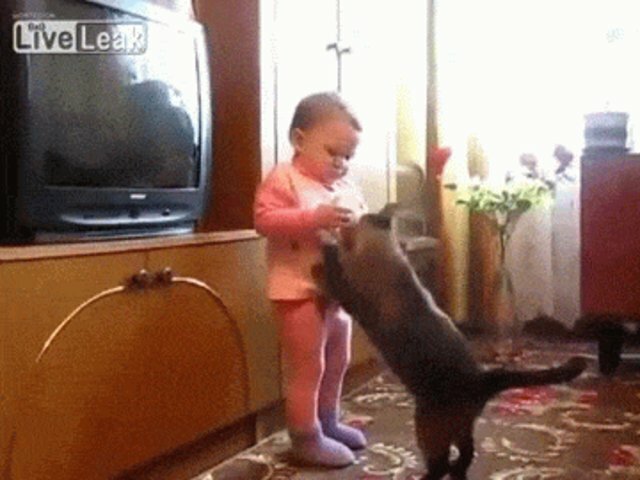 Allowing her to carry around a kitten could end up hurting both kitten and baby.